- Choose Bisphenol-A (BPA)-free products. BPA is a chemical used to produce polycarbonate plastics, which is commonly used to make consumer products such as such as water bottles, food storage containers, and toys. There are possible health concerns that are associated with BPA exposure, and thus more and more BPA-free products have come to market. - Don't buy anything in cans. Most cans are lined with BPA-containing resin. Canned food and drinks are not good for our health anyway. They are heavily processed with artificial ingredients and preservatives. - Avoid heat. It's best not to leave plastic water bottles in the car during hot seasons, microwaving plastics, or even putting them in the dishwasher because the plastic may break down over time and the chemicals, such as BPA, may leach into foods. - Choose non-plastic products where possible. There are a wide range of glass, porcelain or stainless steel products for cooking and storing food and drinks. They are more expensive, but they are safer and generally last longer. 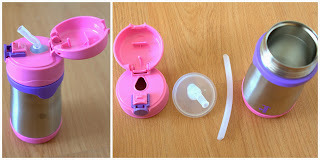 We use plastic water bottles and I still have Tupperware-type containers at home to store food, but I think I will have to re-think about the use of plastic for storing food and drinks going forward. Plastics are nice because they are light and they usually come in big sizes, especially for water bottles. I love my Locks n' Locks as they are airtight and lightweight. And Ziploc bags. Even though they are made of #4 plastic, which is considered safer, the truth is plastics are simply not the safest option. Maybe I can use them for different purposes, such as storing dried goods or cold liquids or for freezing food, and make it a habit to transfer them into glass or porcelain containers if I need to heat them up. Ideally, I want to remove as many plastics as possible from our kitchens, because not only the production process and the chemical by-products that are created are not environmentally-friendly, many types of plastics are also non-recyclable, which contributes to so much waste, but I know this transition will be a gradual process. When I googled "the dangers of using plastics," I was just overwhelmed and a bit scared to tell you the truth. We can never avoid all plastics, but what we can do is minimize it. 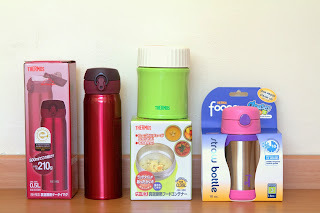 I was fortunate to be given free samples of Thermos stainless steel insulated food container JBI-380 , and Foogo stainless steel straw bottle for my little one and a stainless steel "one-touch open" insulated water bottle JNL-500 for myself. I must say that I'm very impressed of the quality and the heat/cold retention of all the products. They were made in Malaysia, but under the quality control of Japan. 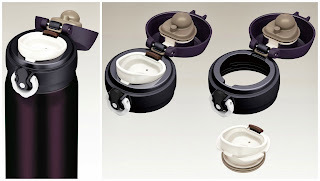 Have you experienced putting hot food in a container and when you try to open it, you have a difficulty? That's because of the air pressure inside. The technology used in this particular food container prevents that from happening and so it is easy to open even when the content is hot. It retains heat and cold very well, for up to 8 hours in my experience and it is perfect to put soups, rice, and even desserts in. All parts are detachable and very easy to clean. 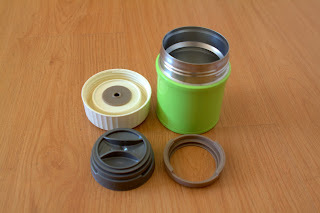 This thermos is very lightweight and is the best I have found for keeping hot and cold water. I've tried putting boiling water in it and the water remained very hot for 18 hours! I could still brew tea with it. The same goes with cold water. This leak-proof bottle kept the water very cold for that long and I like that the outside does not get very cold to the touch when it is filled with a cold liquid. Just amazing technology. It's easy to clean as all parts can be detached. I really love that we have alternatives to plastic straw bottles for kids these days. 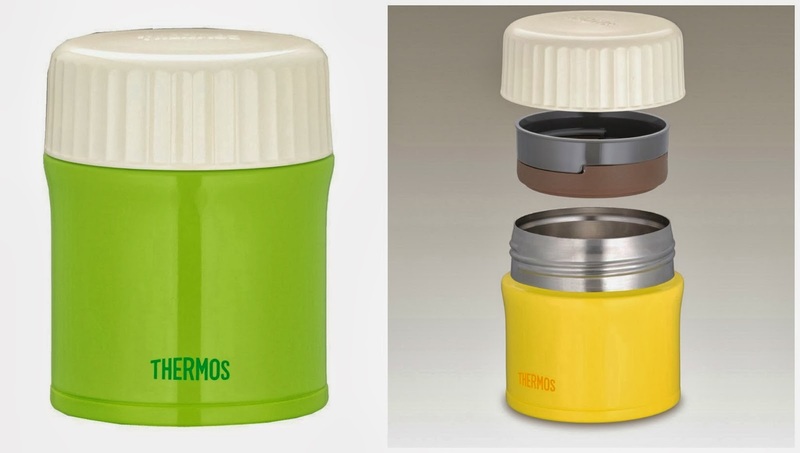 This Foogo straw bottle is made of stainless steel and is made to be kid-proof. It's a good size for little children to hold. It's double wall vacuum-insulated to keep liquid cold up to 10 hours. Just like the JNL-500 water bottle, I like that the outside does not get very cold to the touch when it is filled with a cold liquid. A very good bottle to put fresh milk in when we go out for a few hours. I don't recommend putting hot liquid as the straw is made of plastic. It will leak if you purposefully puts it upside down but it is one of the best straw bottles out there. It's also very easy to clean and you can buy the straw can be purchased separately if it gets worn out. 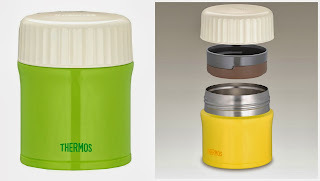 All in all I fell in love with Thermos stainless steel products. They are very well made to serve its purpose, which is to keep food and beverages hot or cold for a long period of time. They are very practical, high quality, long-lasting, and make great gifts too! Check out their products on their website. In Singapore, you can find Thermos products in major department stores, such as Takashimaya, iSetan, and Tangs. What are your thoughts about using plastics? I didn't know that cans contains BPA! Ok, no more canned tuna and corned beef! Happy New Year 2014! Another year for Thee.